Jay Rubenstein, professor in the Department of History, is the new director of the Marco Institute for Medieval and Renaissance Studies. He takes over for Thomas Burman, who recently accepted the position of director of the Medieval Institute at the University of Notre Dame. As the incoming director, Rubenstein’s first priority is to increase Marco’s visibility in the digital humanities. He also looks forward to working with the group of medieval scholars at the institute. Before he left, Burman began developing a regional corridor in medieval studies, which Rubenstein plans to continue building. 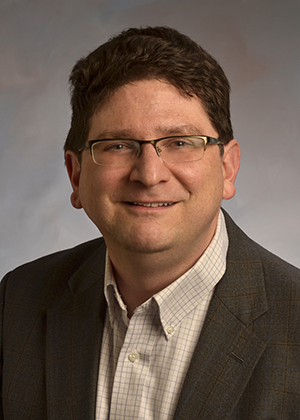 “Given our strengths in medieval studies and our geographic location, Marco has the potential to create a real academic network for medievalists in the southeast,” says Rubenstein, who looks forward to collaborating with schools such as Kentucky, Vanderbilt, Duke, and UNC on classes, symposia, and research projects. Another one of Rubenstein’s goals is to increase Marco’s footprint in the community and let people in Knoxville and beyond know more about medieval and Renaissance culture, and the exciting things going on in the program. Rubenstein spent the past year as associate director of the Humanities Center. He hopes to continue working with the center to put together programs and events of interest to the wider campus community. “It is an honor to be given this responsibility and opportunity,” says Rubenstein.